When people shop online for products or services, reviews are seen as indicators of trust, quality and authenticity for a business. Even though reviews on Google, Yelp, Facebook, etc. are user-submitted and mostly out of your control, you can actually showcase your positive reviews in Google SERPs, thanks to a little trick called schema markups. Schema markups have been used in SEO for a while now, helping websites stand out from the competition in Google SERPs. 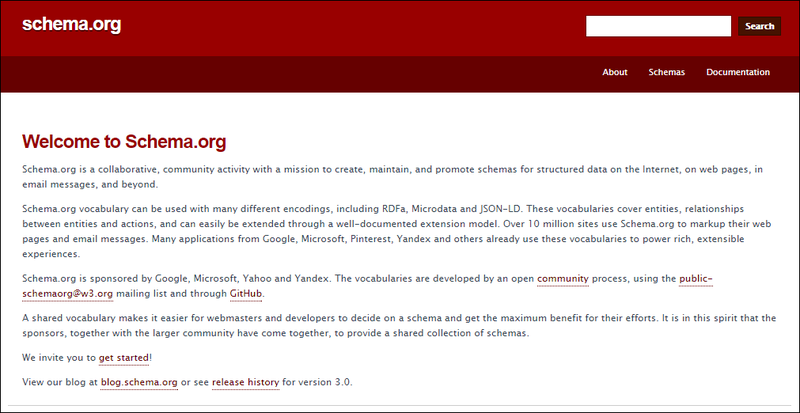 Schema.org is the collaborative community responsible for creating this semantic vocabulary to implement into your website, and is sponsored by Google, Microsoft, Pinterest, and more. Simply put, schema.org markups are nothing more than code that tells search engines and other products, how to understand bits of information from your pages and display this additional information in a useful way for the end-user. Schema markups can be used for a lot of different purposes across your website, but a great variety of these schema types are helpful for enhancing your content in the Google SERP in so many ways you didn’t even know possible. 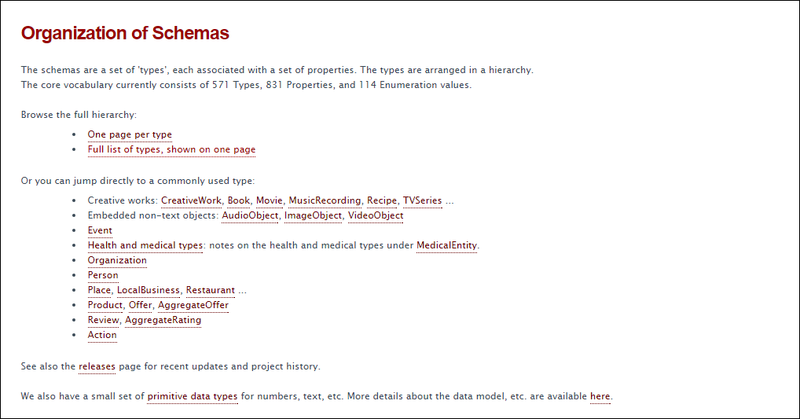 Check out the full list of schema types here to get an overview. While schema.org is the foundation of the code, Google Developers provide a great overview and outline of how to use review schema markups. You may want to check that out too, as it may come in hand when implementing the code on your website. In this article, we’ll be focusing on review schema markups. 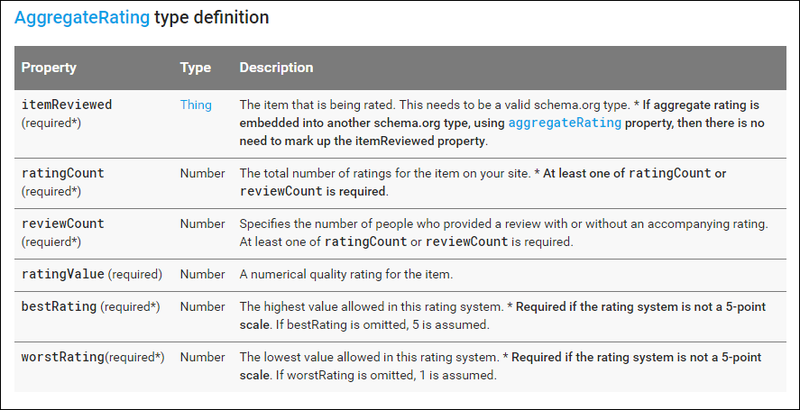 Follow this link to browse through schema.org’s markup vocabulary specifically used for ratings and reviews, and get a generic idea on the plethora of options you have available for taking advantage of your reviews in the SERPs. Google supports reviews and ratings for a great variety of online properties – businesses, products, creative material like music or movies – so the possibilities are seemingly endless in enhancing your website in the Google SERP. When you use schema markups for individual reviews, things are pretty straightforward. You have a number of items available to add into your code – the product reviewed, the review body, the author, the date published, the review rating, and the publisher. The only tricky thing here is defining what scale your rating is on – 5-point (which is Google’s default) or your own custom rating system. You’ll have different markups for each. 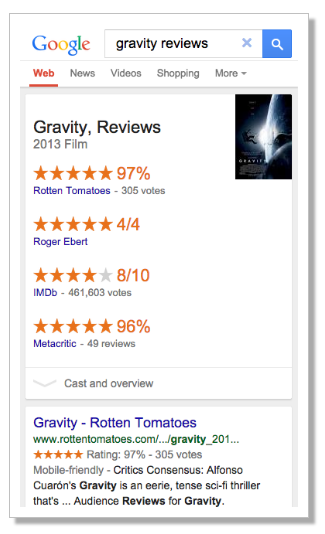 If you have multiple reviews available and an average rating calculated, you can use the aggregate ratings markup. The only difference between this and the markup for single reviews is the rating and review count options. 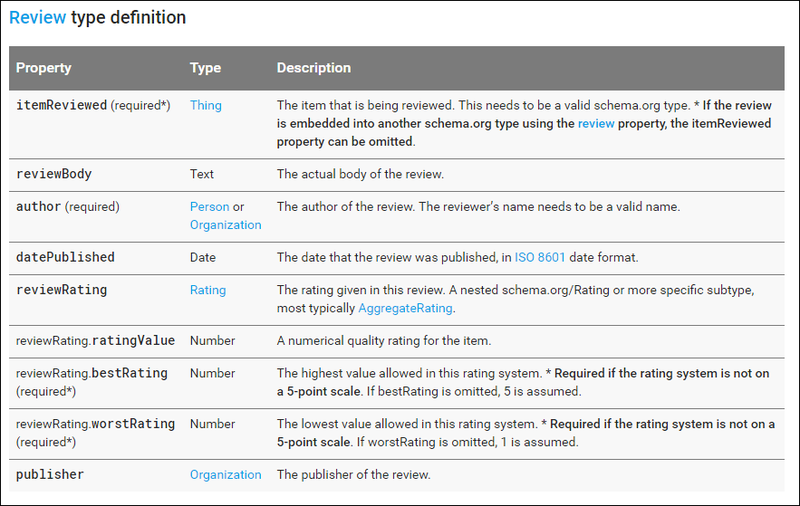 Like the first one, it is on a 5-scale rating system, as a default, so if you have a different rating system, you can use the bestRating/worstRating additions. Next, it’s time to get our hands dirty and create your schema markups. While many schema markups can easily be created using the Google Structured Data Markup Helper or with the help of a web developer, we’re going to showcase a couple of awesome, free tools that pull the needed information and create the review schema markups that can be later on directly inserted into the website. 1a. 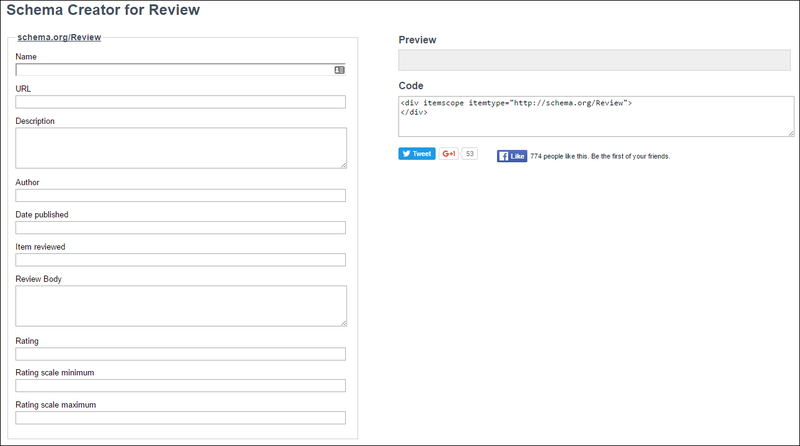 For a single review, go to the Schema Creator for Review and fill out the form. Schema-Creator.org is one of the many tools available online for this, but also the easiest way to get the code you need without all the hassle and confusion. In the name section, you’ll want to put the name or title of the review. 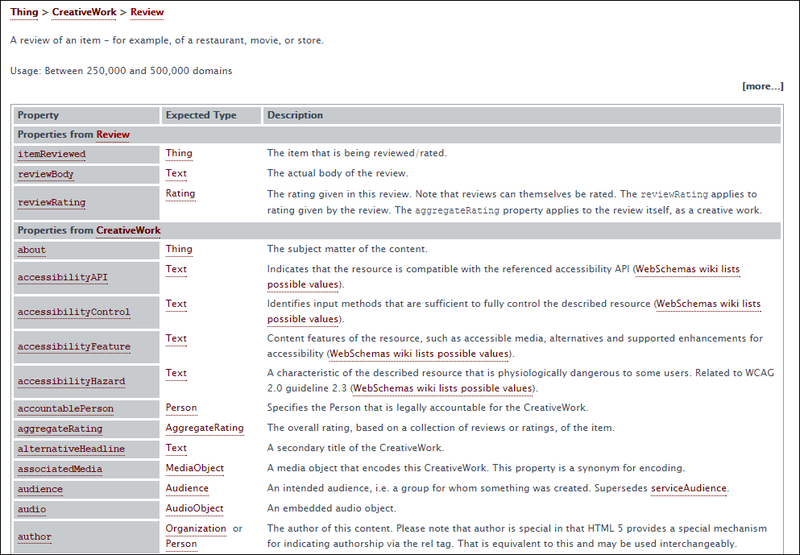 In the description, you’ll put the review summary, and in the URL, paste the review’s individual URL. Also fill out the author, date published, item reviewed, review body and rating or rating scale sections to fill out. Remember, you’re on a scale of 5 with the rating section, and you can define your own with the minimum/maximum section, if it’s different. This video also provides some useful information about this. 1b. For an aggregate rating markup, use the Web Code Tools form. Just fill out the Web Code Tools form with the item reviewed, the rating on a 5-star scale, the number of votes for this review rating, and the total number of reviews, and copy the code generated at the right and paste it into your website. If you don’t use a 5-star scale, simply match up your code to reflect the Google Developers examples. 2. Test your data with the Google Structured Data Testing Tool. This great tool makes sure that your structured data is valid and will get picked up by crawlers. While the first set of data you get from the Schema Creator for Review or Web Code Tools websites will be exactly what you need, you may find that further changes are called for to make the schema even more specific and robust. The testing tool is great for making sure that any additions are correct. 3. Put the code in your website. Since it’s in HTML format, you’ll want to make sure you’re adding the code into the HTML window in WordPress or a compatible area if your website runs on another platform. Or you can simply pass it forward to your web developer to implement it into the website. Before implementing the code, you may also want to adjust its appearance by adding breaks (<br>) or other cosmetic features. Don’t forget though to run the code through the structured data testing tool when you do, to make sure the code is valid. Although schema markup will not influence your organic visibility and rankings, it should have an impact on your organic CTR and therefore, traffic. So, you’ll want to keep an eye on your pages in Google Analytics and track their performance. You will likely see an increase of your traffic, as reviews are a huge help for standing out and converting in Google SERPs. There are so many schema markups available that you can use to stand out in search results, beyond review schema markups. The possibilities are almost endless, so don’t be afraid to try others, as well. While schema markups are certainly technical, there are a lot of great tools out there available that do not require any specific skills to use. And the best part is that once you set everything up, you won’t need to update your review markup. The language will not change (anytime soon). It’s time to get marking! If you have any questions or comments, please leave them below. Great article on a subject rarely covered by “standard” SEO posts. Well written with good detail. Thanks for the great article. Is there a way to keep your rating and vote count current for the aggregate review markup? Or do you manually need to update them as they change over time? Can we manually use schema markup to add 4.8 ratings with aggregate count as 6 on our product page ? Vicky bhai, did you get reply about this post ? Hi there. I want to host a 3rd party review on my website. It’s a long review, and I don’t want to have any duplicate content issues hosting it on my website. The review has made on a reviewer’s website. How can I implement it on my site withouth duplicate content issues and perhaps giving the appropriate attribution? I’m lost in this whole schema stuff. Thanks, Tyler.